This is something I'll just be doing as a side project in the weeks leading up to Extinction covering lore elements of ARK. Specifically, the ARKs themselves, who -or what- made them, and what the future may hold for the survivors. I'll be referring to the Explorer Notes and analyzing them in-depth for info. Over the past year, I've been slowly gathering the explorer notes.In case you don't know, explorer notes are little collectibles you find across all three story ARKs. Recently, I completed finding all of them. That's over 500 explorer notes! Almost half of which are dossiers. If you want the coordinates so you can find them yourself, or if you want to read them, here's a link to their page on the ARK wiki. So lets start where the ARK lore seems to be the most confused-Aberration. Here I'll show how Rockwell didn't destroy the ARK and more. The first explorer to arrive on aberration was Diana and her squad mates from the United Republics of Earth (URE) a futuristic organization from an undisclosed future date. After setting up a camp on the surface (this was before it was destroyed) they're able to create some working tek armor and jet pack, which they give to Diana to fly off and find help. However, Diana collides with the barrier surrounding the ARK. After that she returns to camp and heads to the obelisk with her new friend, a teenage computer expert and hacker with a love for pop idols by the name of Santiago. Santiago hacks into the obelisk terminal and deduces that the energy barrier made with "unknown shielding technology" can be taken down if they destroy a certain platform-the overseer arena. After months of training, they finally complete a tek bomb that can destroy the entire arena. Santiago manages to get them there by hijacking the teleporter pad at the base of the obelisk and teleporting them to the arena. Even with their training, they were no match for the overseer and barely had any time to set off the bomb.However, something happened and rather than just destroy the arena the bomb destroyed the entire column it was sitting on. Even though Diana and Santiago survived, the blast failed to fully take down the shield, only weakening it. Furthermore the shield, according to Diana, allowed excessive amounts of sunlight to enter the ARK and mix with radiation to create roasting sunlight that reaches up to 236 degrees Fahrenheit! The group of URE people end up retreating into a cave. It's here that we learn 2 things about aberration: one, it was Diana, not Rockwell, that broke the ARK.Second, the cave system we see in the playable game was always a planned part of the ARK and it existed even before the ARK was broken. After setting up a Second base -the one we see on the Northern shore of Fertile Lake- Santiago makes nighttime trips to the obelisk to run tests.He deduces that an existing teleporter pad signal on the planet below could be reached, but not through the obelisks since it was on a different frequency. The group decides to build a massive portal to reach it, called the gateway project.And it's here that Diana meets Mei-Yin.The same Mei-Yin from the island, who befriended Helena and killed Nerva. The one who lost her left eye fighting that same Nerva to the death. And somehow managed to become the only person in ARK ever to tame a fully-mature Rock Drake. Diana decides to take her back to her camp, where Mei-Yin is in awe of the technology used. However, the doesn't get the hang of the gadgets and almost leaves. But Diana convinces her to try on some tek armor. That was enough for Mei-Yin to not only stay as a permanent resident, but become a trusted friend of Diana, even giving her the nickname "Juzi" (Which literally translates to "Tangerine", a type of orange. She likely chose this because of Diana's distinctive reddish hair). A URE scouting party locates some ruins that contain crystallized element that the group needs to complete a "focusing lens" which I believe is the Orange ring at the end of the portal. The group goes missing and Mei-Yin - who'd stayed behind- went after them. She managed to rescue Diana and the element. However, she had to leave her Rock Drake behind as a distraction while they ran back to the village. Mei-Yin swears to protect the village from now on. Then Helena and Rockwell arrive from Scorched Earth and are attacked by seekers. Suddenly Mei-Yin in full tek armor saves them. After a joyful reunion, Mei-Yin takes them to the village. When Helena learns of the gateway project, she remembers that back on Scorched Earth, the city of Nosti was destroyed by the obelisk after it became too large. After talking to Diana the Gateway project is postponed. After Helena is trained in tek armor the group heads with Santiago to get readings from the obelisk. Helena's hunch turns out to be correct, with the ground around the obelisk getting regular tremors and the obelisk only days from reacting. Just when Helena had lost hope, Santiago came up with a plan. He believed that there was a teleporter signal that could lead them to a control center where they could shut down the obelisk, The pad turning out to be in the heart of the station itself. Using his hacking skills, Santiago is again able to get himself, Helena, and Mei-Yin to the center with the obelisk's pad.They decide to leave Rockwell behind with Diana in the village. Rockwell feels that he's being treated like an ignoramus and fights to be treated better, eventually getting put with Diana's team of scientists. This gives him access to molten, unrefined element. He claims that it speaks to him, which could very well mean he was suffering from Schizophrenia. Helena and friends explore the center and first find a room full of creature eggs and embryos in pods lining the walls. Then further down they find something shocking-HUMANS in pods lining the walls. Helena writes in her 18th note that this could mean that the characters -playable characters included- were not just put on the ARK by the overseer, they were DESIGNED by the overseer, which could mean that the characters memories are fake, too.This leaves everyone in shock, Mei-Yin specifically.She becomes a sort of zombie until the group finds the console their looking for. Back at the village, Rockwell runs some tests with the element, or "Edmundium" as he calls it and injects a sample into a glowtail, mutating it into a savage beast. 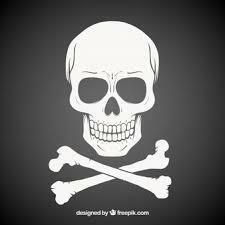 But Diana overhears and kills it before taking all of Rockwell's test subjects and element. Not to be outdone, Rockwell begins smelting down the whole village's supply of element into molten form. Santiago manages to finally shut down the obelisk. But in retaliation the station releases creatures into the center. The group runs all the way back the pad to safety. On the way back to the village, Santiago radios to Diana, while Helena and Mei-Yin finally come to terms with the truth. In the midst of the village's celebration, however, Rockwell, deprived of test subjects, injects a large dose of molten element into his bloodstream, mutating him slowly. Then Santiago's radio went from cheering to panicked screams.By the time they arrived at the village, nearly everyone was dead, and Diana was too badly injured, dying in Mei-Yin's arms. But not before telling them who had done this. A furious Mei-Yin grabs every gun she can find and goes right after Rockwell. Helena decides to follow her. When she finds her, she's already fighting Rockwell. With Helena's help, however, they're able to divide his attention. In his anger, Rockwell creates a hole, which Mei-Yin forces him down into. The battle was over. "Primitive! Savage! How dare you? You are nothing! I am a god! How dare you? Hate you! HATE YOU! I HATE YOU! Where have you banished me? What is this place? What is this feeling? Everything. Yes, everything. The earth and the sky. Every stone and every crevasse. I feel it all. What is this place? What am I?" "I am beginning to understand. It was hard to comprehend, for my eyes are still newly opened. I did not used to see as I see now, nor did I speak as I speak now. When I speak, it is not to a man. They are lesser beings. When I speak, I speak to this place, speak to the ARK, and it speaks back to me. It tells me secrets, things that I never could have understood as I was before. It whispers to me of something greater, a plane ever higher than the one I walk now. We can reach it, the two of us. The ARK and I. Together." As for Helena and Mei-Yin, they manage to find survivors of Rockwell's attack who can complete the portal. After 2 weeks it's completed at long last. Helena at first doesn't believe that the group will let her go with them, since she brought Rockwell to the ARK in the first place. When Mei-Yin finds out, however, she breaks down in tears and convinces Helena to come with her. And the next day they activate the portal and touch down on the planet below. Since Wildcard repeatedly refers to the planet as Earth, then it would make more sense if that hunk of rock is actually the MOON. Now, I don't know about you, but that large piece off to the left looks awfully similar to a rounded side of the moon, right down to the color and shape. And the rest of it looks like it could have fit together to form a sphere at one point. I have some ideas as to how it cracked that I'll share in future posts. In case you're wondering, I am NOT Anthomnia, the maker of this video. I'm just using this video for reference because I couldn't find any images of the crater anywhere else. In the future, Earth realized a large asteroid would hit the planet and kill almost everything. To keep the human race alive, HUMANS CONSTRUCTED THE ARKS with the intent of seeing if they could repopulate the Earth through repeated experiments with genetic mutation. Shout out to Glerian for liking my theories, every little bit helps! I like your theory! It was very well thought out and your synopsis of the information so far is excellent. So now, maybe I'm not as up on my lore as I would like to be, but aren't there multiple asteroids orbiting the earth, with an Ark on each? I don't think they could all be pieces of the moon. Second, considering all the facts, I would imagine that the Arks WERE designed and built by advanced humans, probably as a way to save the human race. Given what we know, Arks spawn in human beings from all periods of history, it could be that they were made after the doom of humanity. Some sort of extinction event took place, a la Horizon: Zero Dawn, where the survivors were able to create the Arks as an experiment before they died, leaving the Arks to complete their goal. 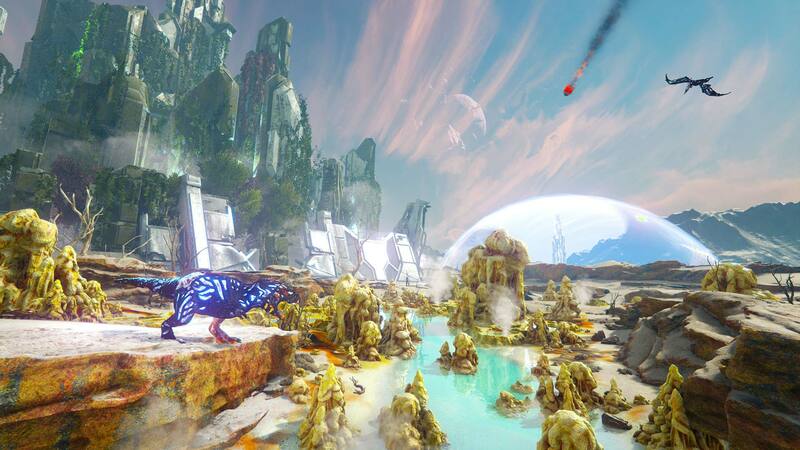 The Arks seem to be searching for something, or someone, to potentially fix the "extinction" perhaps? Survivors are "spawned" over and over again, until they can ascend. Either way, I love where this is going, thank you for updating! The ARK Stations, everything there is to know. Now that we have a possible explanation as to the ARK's origins, let's discuss the facts we know about the ARKs themselves. I got most of this info from Helena's notes and the captions of Diana's notes (By captions I mean the bits of text next to scans of the environment). Each ARK is a landmass station made up of three components, Organic, Mechanized, and Digitized. Each ARK is built at an unknown altitude and, as Helena mentions in her 2nd Note on the Island, is built so that it has no axial tilt, and hence no seasons to interfere with the desert or tundras. Each ARK is seemingly different and I think it's safe to assume the overseer randomizes the environment for each ARK. Each environment is contained using a "Holographic/Atmospheric Dome" that keeps stuff from going in or out of the ARK. 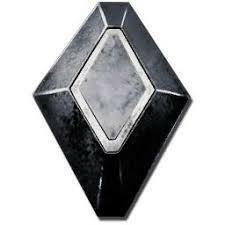 It uses holographic horizons and energy barriers to accomplish this. 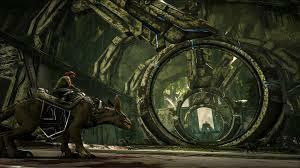 And as Helena discovers in Scorched Earth, the ARK may use creatures as barriers, too. "As absurd as the Death Worms are, I see their purpose. They are a natural barrier. If this whole place is a space station posing as a real ecosystem, then it needs to keep the wildlife and humans inside it contained in a way that appears natural. The island accomplished that by simply being an island, and the desert does it via the Death Worms. Granted, a large population of predators with ludicrous kilocalorie needs would never last long in a place as devoid of prey, but as this is an artificial environment, the station can feed or, replace the Death Worms as needed. It's a little convoluted, but it makes sense." - Helena Note #6 on Scorched Earth. Each ARK produces both Humans and animals. Helena's extensive research on the Island led her to discover that the animals themselves seem to be genetically altered so that they could survive in cold or hot climates. Other creatures never really existed at all, the biggest example of this being the Cnidaria, which, according to the dossier, is basically just an amalgamation of Large Egg-yolk jellies, box jellies, and deep-sea jellies. Helena's research also reveals that the animals seem to have been used to human contact for at least decades, hence the reason for the speedy taming. In addition to animals, each ARK also contains a small population of humans struggling to survive. These humans appear to be implanted with artificial memories. After being designed by the overseer, each animal and human is stored in pods kept in the heart of the station, where they are kept until implemented into the environment. This is likely what we see happening in those rooms in that hallway before the overseer arena. The machine I'm talking about is the one that implements them into the environment. The main control AI of an ARK station who's duties, according to the ARK wiki, are "Overseeing the experiments of an ARK Station and ultimately deciding who may continue to ascend higher in the evolutionary chain and who will be terminated." The overseer isn't just a robotic AI guardian, though. It's a shape-shifting robotic guardian, capable of mimicking the shape and powers of the other 3 island bosses. It also has the power to summon defense units and attack drones to defend it. The obelisks are the most iconic features of the maps. At their base is a teleporter pad that, when given the right offerings, teleports the player to a boss arena. According to Diana's logs, the obelisks are "surveying devices". I think what that means is that the obelisks aren't just boss teleporters, they're machines implemented by the overseer to monitor the environment. This is further evidenced by the beginning of the overseer boss fight. When you walk into the arena, you can see a hologram with data bubbles next to the obelisks, shown below. 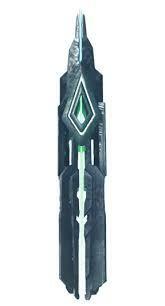 This is likely data the obelisks collected for the overseer to review. One of the key defining features of the survivors, the implant, when hovered over, will display the survivor's serial number, Vernacular ID (Human name), and the words "Survivor Quotient", followed by the survivor's ascension status. "The surviving villagers let me claim the lizard rider's armor and weapons, and gave me shelter for the night. To my surprise, I understood them. Their mouths moved strangely, but in my ears I heard the language of my home. They say it is the work of the metal object in my wrist. I do not understand, but they had no reason to lie." - Mei-Yin note #5 on the Island. So in addition, the implants also act as a sort of communication device that enables people of different languages to talk to each other. I believe the "termination" the overseer does is what happened to the city of Nosti on Scorched Earth, and what nearly happened to the tek village on Aberration. I believe it does this because it doesn't want people to expose the ARK for what it really is. John Dahkeya and Raia, the only two survivors of the Nosti disaster, say that first, the obelisk's light started flashing for a few days. Then, the ground suddenly started trembling, and finally, the ground split open and swallowed the city whole. In other words, the obelisk triggers an earthquake that destroys the target. Now, some of the few of you that actually took the time to read that might say, "Wait, humans are EXTINCT?! But we play as a human!" Well, DO we though? Our memories could very well be fake, so could our bodies be fake, too? What if our characters are actually the NOT extinct, but "Endangered", HOMO DEUS?! Aaaannnddd I think that's a good place to end it. I'll be off this site for the weekend and Columbus day, but I should start uploading again on Tuesday the 9th, so goodbye until then! Was a good reading and i loved it, the story side of Ark has always made me curious and it’s exciting. Cant wait for what we learn closer to next dlc. What if our characters are actually the NOT extinct, but "Endangered", HOMO DEUS?! Due to the fact, that the Extinct animals on the Ark are labeled as extinct, i Think that "We" are in fact Humans... clones. Genetically recreated Humans. ANd i Think, that "She who waits" is the last homo deus... that Homo deus is a form of aetherical human being, made of manifested data. That´s why She is kind of linked to all arks. 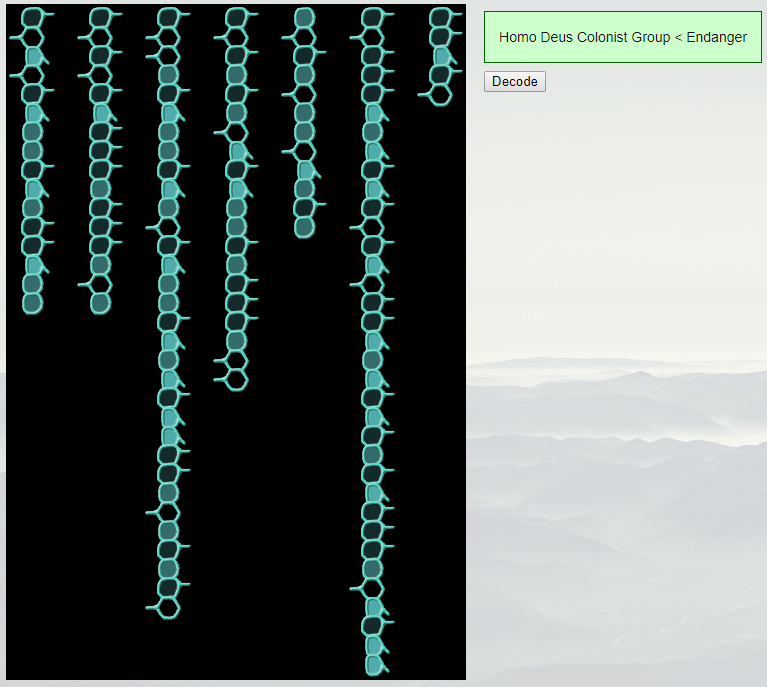 The "Colonist group" of this bit interests me. Could the other Homo Deus have moved on from Earth? I love what you've done here @ArkTheorist123 !! After trying my luck in PvP for two years and then trying my patience with the hoarding PvE crowd I decided I'd go to single player and start a quest for the notes.. I read them when it's dark and scary out and I'm just tickled that someone else is as interested as I am .. Thanks for all the support guys! After looking at the ARKs origins and facts, let's look at their purpose. After reviewing the facts, we can conclude that the ARKs are landmass stations built by futuristic humans, and serve as observation facilities where an advanced AI runs experiments on prehistoric creatures and genetically recreated humans using genetic mutation. Given that the planet is in ruins, I think it's safe to say that their end goal is to see which subjects would be best for saving the planet, humans AND creatures, since that would explain how we see them in the teaser images for extinction. And the evidence for this is from none other than One Who Waits. This should confirm the ARKs purpose, and the humans involvement in it. So it's odd to me how the ARKs aren't doing that. "To fall from the sky, you'll go through many trials. You'll face many guardians. They'll feel like tests, because they are...except they aren't. Basically this means two things. One, the boss fights from the very beginning were just another part of the experiment, including the overseer boss fight. The other is further mention of this "Evolutionary chain" the overseers command. When one ARK is ascended off of, the overseer transfers the subject to a harder ARK, and the cycle repeats until the overseers see the subject worthy of being transferred to the planet to save it. This would explain why there was a teleporter pad on the planet in the first place. For some reason, though, the cycle isn't ending like it's supposed to. Because we broke some heavenly rule or something like that (I have no idea what rule we broke, leave suggestions! ), we aren't being sent to the planet per usual. we just keep going to harder ARKs. 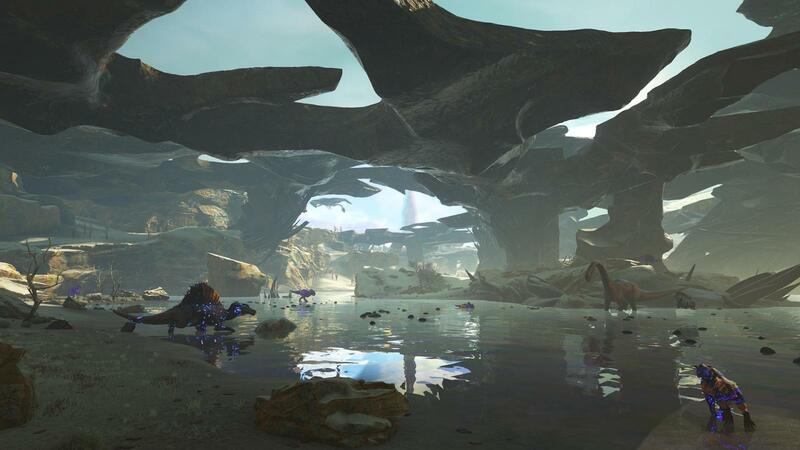 So if we don't go to aberration and teleport to the planet, it doesn't matter if we tame a Rex army or conquer all opposing tribes. It woulden't even matter if we beat the Broodmother, Megapithicus, Dragon, Overseer, and Manticore ON ALPHA.If we don't go to aberration, there IS no happy end. It just gets harder and harder. That's why we're REALLY lucky we did. Very well done GJ. I can only find a few nitpicky things wrong and for the most part you did a great job keeping the facts and your guesses separate(not an easy thing to do). Say what you will about this game(and I do at every opportunity) but years into playing it I am still dying to find out just what the [email protected]#k is going on lol. Some things to note......We don't know for sure why the city of Nosti was destroyed. It may have been related to the size or it may not have...we just don't know. On AB it seems that the kill command was given as a response to the destruction of the control center but again we just don't know. Also the existence of the Homo Duce troubles me. We know from the island that they are a thing but almost nothing else has been given to us on what they are, what they want, where they went. Dozens of Arks in orbit , fire breathing dragons, Monsters with acid blood, Tek bombs blowing up their stuff but so far no Duce. I figure either that part of the lore is getting pushed aside or EX is going to be jam packed with Duce or at least whatever legacy they left behind. On a related note I am looking for tribes interested in making a day 1 push for notes and end game content. I need to find out how this thing ends and I don't want to wait for the wiki. If you have a tribe that is going to assemble on a certain server and need moar ppl please let me know. "I believe the "termination" the overseer does is what happened to the city of Nosti on Scorched Earth, and what nearly happened to the tek village on Aberration. I believe it does this because it doesn't want people to expose the ARK for what it really is." ... because it makes no sense. It wasn't the size of the tribe, or the intent of the tribe, as both tribes were very different in both respects. I think it has to do with civilization, as a whole, which slows down and in some cases even stops, evolution. Which I think is the entire point of the ARK, to force evolutionary growth. The Homo Deus are trying to create MORE Homo Deus but the only way they can is by forcing certain humans to evolve. Those with the right abilities, the right genetic qualities, ascend. All of this as a way of saving the endangered Homo Deus. The One Who Waits is either one of a scant few Homo Deus or the LAST Homo Deus. And the reason it is contacting you is because something has changed between the creation of the ARK and now. I posit that, possibly, the Homo Deus were more numerous when they created the ARK, but as time went on they grew fewer and fewer. This caused the equation that ran the ARK to change, pushing the goal posts further down the line as more information was needed to fill the void left by the Homo Deus who disappeared. IF the problem is the extinction of the Deus then it stands to reason that as they grew fewer and fewer the amount of evolution they required of the ARK grew exponentially until, as the last one OWW determines the equation is now unbalance-able by means of the ARK. And so it must be solved in another fashion, enter the broken ARK and teleporter to earth directly. Does that gel with the rest of your theory? So if diana's people are from future with elements, from where they have it, maybe it come with meteor like tiberium in C&C? After years humanity know how to use elements, evolve into Homo Deus, elements spread through the world and in some case elements start corrupting earth. With some purpose it was deadly for new humans so they start ARK project where elements appear in some stage (AB, Diana in note mean they start minning element ore, why they start on AB? Maybe because they already know TEK). And years after project start something is broken in "main core" and friendly AI or one from Homo Deus can't fix it so it need our help (like note explain that) so ARK project will back into "good road". ARK Park, The Ultimate Lore Exposed? I've been waiting for the right time to post this theory, and since we finished covering the ARK stations, here it is! Since I first saw gameplay videos and trailers of ARK Park, it was always nagging me... "How The the heck does this thing exist?!" Then when I was gathering the Aberration explorer notes, I found it...Skye's note. Skye was one of the graduate students, a set of characters I chose to leave out of my Aberration lore post for one simple reason: they contributed absolutely nothing to the main lore of Aberration. Skye's one note, found at the coordinates 45.4 by 40.5, however is different, as it's basically one big Easter egg to ARK Park. "Far out! This place is kinda like that dream I had. So it went like this: I ride some tram thing to like, the biggest, weirdest zoo in the universe, right? Only instead of normal animals, there's dinosaurs! Totally cool...until they all escape just like in every horror movie ever made. Duh! Anyway, Dream-Me hops into a truck with some ripped, badass dudes, and we just start driving around, shooting dinosaurs and stuff. I felt like a legit action hero! But it's still just a dream, right? I mean, obviously! I don't even know why I'm writing this down, it's all in my head. All I need to do is walk off that cliff, and I'll wake up right before I hit the ground." And that's all I thought it was - a nod to ARK Park. Until I started drawing similarities and it eventually clicked in my brain - what if the entire ARK Park game WAS Skye's dream?! With that, I started looking for evidence, and I think I really did find some. And let me just say...THIS LOOKS NOTHING LIKE THE MAIN ARK GAME!!! The ARK itself looks different, there are TWO large planets outside the observation window. Earth, both out the window and in the hologram, looks more orange and has a large crack in it, and the moon ISN'T floating around in pieces. I mean, look at the similarities! Both show an identical looking tram on an identical looking rail system, with large rock formations overhanging the track, and both show the main island far off in the background. And lastly... let's face it: why would this ONE ARK be decked out in zoo form compared to all the others? That doesn't mean the MAIN ARK game is dream, though. That's at least confirmed when we see Skye's corpse next to his note as a result of his stupid cliff - jumping. From what we can tell, element is first formed in an ore or in molten rivers. The element is then mined and when combined with gems, charge, and gas balls, makes the refined material used in tek. "The architecture here is similar to that of the control center I encountered before - a jagged cavern of metal, lit by an unearthly blue glow. There's a constant hum all around us, likely from the power being sent to all areas of the station." - Helena note #16 on Aberration. 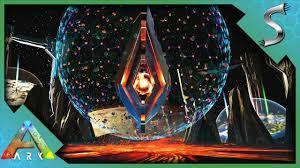 Now, maybe this a stretch, but what if the energy was passing through the element, like element was some kind of conductor for energy and maybe even overseer data, since that would kinda explain how our tek gear doesn't work in the Broodmother, Megapithicus, Dragon, and Manticore boss fights, and it would explain what Rockwell meant on Aberration when he became one with the ARK and said the ARK told him things, since he's part element, and the info would be passing through him. Sorry this is so short. I could be offline at least until the last extinction chronicles drops next week. 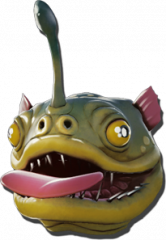 On the bright side, when THAT happens, I should have all the info I need to do a 2 - part prediction post on EXTINCTION. ? Apparently, the description of the original video titled the game's creator as Snail Games, the same company that made ARK Park. Many people are saying this will either be a standalone game or an ARK 2.0. That's why I'm going to do a breakdown of this trailer, to see if this will be better or worse than ARK (Even though, like, 90% of people who've seen this trailer know it takes place in an ARK - setting). Let's begin. The first 10 seconds of footage seems to take place in a marketplace. We see signs advertising animals and fish. We also see people getting into a fistfight. When we enter the dock, I can see a billboard to the left with white text on it, but I can't quite make out what it says. We see a direbear pulling a cart and one guy walking by quickly seems to have a crossbow or rifle strapped to his back. This is when we see some actual ships, and not just some cruddy raft either. We see men rowing a rowboat to a large, brigantine - like ship. Overhead we see a pelagornis. To the left, another rowboat is hooked up to the ship, which could mean some kind of rowboat - to ship docking mechanic. We then board the ship to see some officers in 16th to 17th century formal British sailing coats. The officers then perform the "Salute" emote from the main ARK game. We step up to the wheel. Then we see some external shots of the ship (Notice the Manticore figurehead), followed by a shot of the brigantine fighting some pirate sloops. I noted that the attacked pirate sloop seems to be pulling a glowing barrel out of the water, maybe this the sea equivalent of a beacon loot drop? They're fighting in front of a waterspout, which could mean that weather will play a key role in success. The following scene shows a ship boarding that gives me flashbacks to Assassin's creed: Black Flag. If you look closely you'll see storage crates all over the deck of the attacked ship, which would explain the need for such boardings to take place. The next shots show a cruddy raft floating around and then some cliffside village. We see some treasure hunters in a scene obviously taken from Sea of Thieves, complete with treasure map, similar digging animations, and undead skeleton enemies. Then it cuts to a moonlit fistfight, followed by a pistol duel, followed by a skeleton raid on a wooded cabin, and then finally a sea battle, brig vs skeleton - ship. To the right in this scene we can see a purple glowing barrel with a ring around it, confirming that the barrels will be loot drops. The rest of the trailer is mostly just a combat montage. We first see that, unfortunately, ships will have to be hand - crafted from the ground up (that part will certainly be fun). Then we see a town which is then targeted by enemies. When the guy uses the spyglass, it's the same lens from the normal ARK spyglass. The town is then attacked, and many people in forts made from ARK stone walls start launching mortars from mortar cannons. A few scenes later a fishing rowboat is attacked by an unmistakable megalodon. Then the trailer shows off some sinking ships that are then raided underwater - a feature that certainly wasn't put in Sea of thieves or ACBF. Then it cuts to another cart - pulling direbear, only this cart is carrying a cannon and is followed by several Equus riders. The closing shot shows a massive battle between British and Pirate ships. The ending shows the planet, and in the upper right you can see wisps that look like what our character passes through during the island ascension cutscene. Obviously there is a lot of ARK influence here. 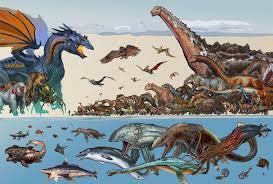 the Direbear, Pelagornis, Megalodon, and Equus confirm that. But how does this game fit into the rest of the ARK universe? I have two possible explanations. 1. It's just an ARK station. "The journey to the village was a bit tricky. Since Rockwell and I lack the high-tech armor the others wear, they had to help us along with rope ladders and zip-lines. We made it eventually though, and it's quite the sight. The technology this tribe uses is incredible, although Rockwell was far more intrigued by it than I was. Mei Yin's friend, Diana, gave us the grand tour and he pelted her with questions the whole time. Fortunately, Diana just smiled and answered his questions patiently. Apparently she was a pilot in her own time, which is the same era her fellow villagers are from. That there are so many people from one time period on one station seems unusual. I wonder what it means?" Because of this, so many people being used to a certain life style isn't that far - fetched. 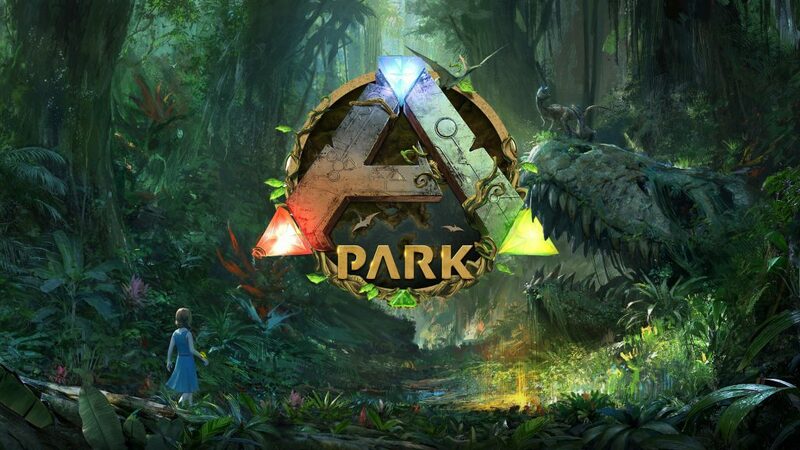 The much likelier theory is that like ARK Park, Atlas will be a dream. This could explain why we don't see any obelisks in the trailer. 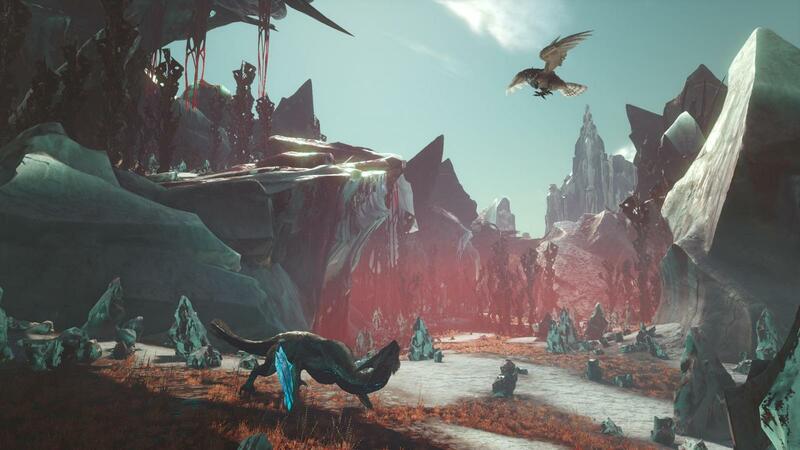 It could also mean that Atlas will be mentioned in an Extinction explorer note the same way ARK Park was mentioned on Aberration. This note could come from someone like Santiago or even someone from before the meteor hit Earth. 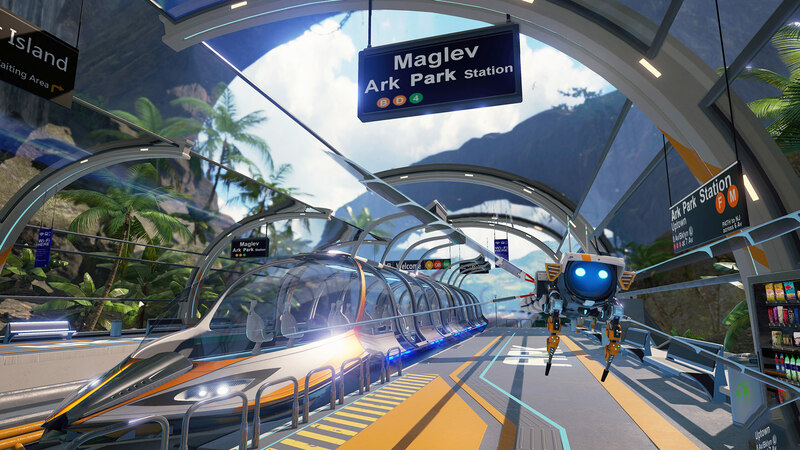 In one aspect, Snail games could be ripping off games like Sea of Thieves and ACBF the same way it ripped off Jurassic Park with ARK Park. in another aspect, Atlas could be BETTER than those games with it's introduction of new mechanics and aesthetics and whatnot. That is, if Atlas actually gets released. I didn't see any release date in the trailer, so who knows what's going to happen with this idea. PPS: I think each ring in the Aberration portal represents a story ARK. Green represents The Island, Red for Scorched Earth, Blue for Aberration, and Orange (the focusing lens) for Extinction. Well, it's happened. The final extinction chronicles has dropped, and extinction is only 3 weeks away at the time of writing this. And I have to say... Horizon: Zero Dawn 2 looks pretty good. Joking aside, words can not fathom how ECSTATIC I AM FOR THIS EXPANSION!!! I mean, I'm literally having dreams about waking up, getting on ARK, and playing Extinction. Then, when I actually wake up and get on ARK, I'm confused as to why Extinction isn't there. I'm going to do this in two parts. This part will be an analysis of the trailers AND the teaser images AND the wiki page. The next part will be a guess as to the plot line of extinction based off of the notes of One Who Waits. So without further ado, let's begin where Aberration left off. 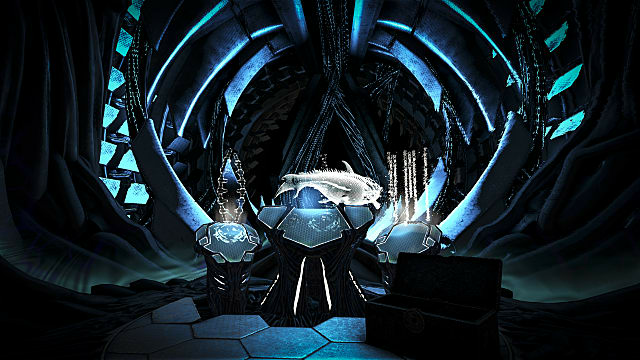 After defeating Rockwell, it triggers something in the portal and causes it to activate, sending us up through the spine to the portal room, off the ARK, through space, to the planet below. After touching down, we see an overgrown obelisk that powers down to reveal a barren reddish landscape. When the screen cuts to black, we can hear a roar and flapping wings. Here we learn two things: one, the obelisks seem to hold up the dome that covers an ARK station. Two, THIS Extinction and the trailed and teased extinction look different.The sky is black and cloudy compared to blue and cloudless, and the city looks different, too. The trailer opens in what seems like the ground level of the Great City, as OWW calls it. We can see dimorphodons flying overhead. 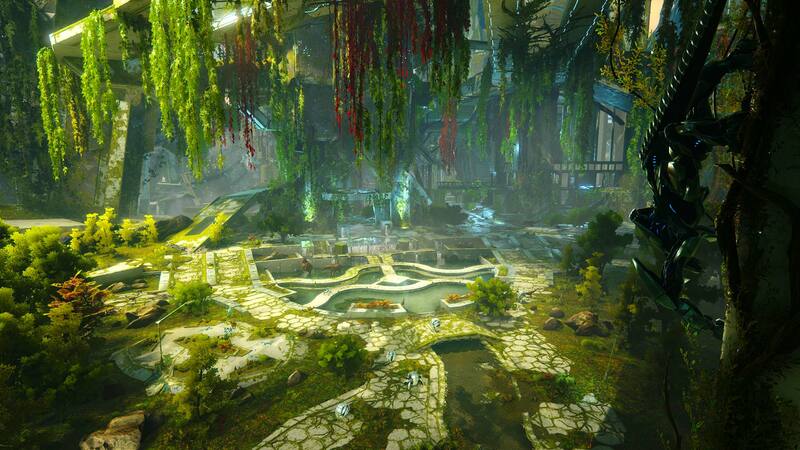 One thing I noticed that nobody else did are the vines stretched between the buildings, like the ones on Aberration. This could mean a return of the ravager, or maybe it will be an ability for an extinction creature, like the Wyrm. As the camera is panning to the left, we can see waterfalls, a lamppost, and bridges in the background. When the camera stops panning, we can see a Red Rex standing in front of a hologram of Earth , like the ones in the Overseer Arena. The hologram flickers to the barren earth for a brief second. Everything looks awesome... until we lift our arm to show an implant. An ALPHA implant. Just... Why?!?! I mean, I know that ascending to access Extinction makes sense in the context of the story and all that, but why ALPHA?!?! Why not just Gamma? Why even have different ascension modes in the first place? 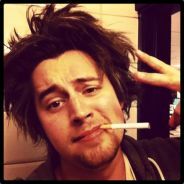 My problem with alpha ascension is that certain players, like me, are worse at ARK than others. They still play, of course, but are too weak and alone to even ascend on gamma. And cheats, in my opinion, aren't exactly the way ARK was meant to be played. I'm trying to ascend, but the closer we get to Extinction, the more I'm dying inside from frustration. Does anyone else have this problem? Okay, rant over. Let's get back to business. We start the scene rounding a corner a floor up from the ground. Riding the Red Rex, we first see a large gate on the left, like the one we see in a teaser image I'll show you later. In the distance we see a large snow - filled dome with a blue obelisk in it, and the cracked moon in the sky. When we round the corner, a few scout drones fly by and we see a giga roar at us before getting attacked by an Enforcer, a tek creature with the ability to teleport. One of the buildings across from us looks like an outdoor seating area with flickering lights. 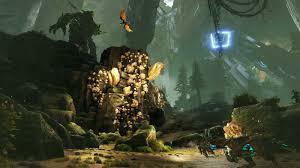 The scene opens from the POV of a scout drone, which appears to scan a corruption node. When this happens, a human - looking DNA strand pops up, which I think means that corruption is alive? Like a parasite that takes over a host and turns it to a hive mentality? Then we zoom out to find the drone was controlled with a pair of binoculars. The hills in the background look sort of bluish. Also, notice the size of the ribcage overhanging the node, maybe there were more titans at one point? This scene takes place in the snowy dome we saw earlier. 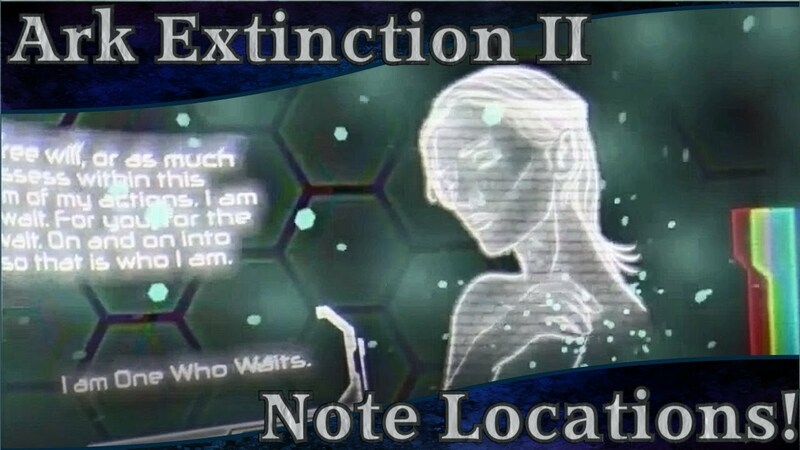 According to the ARK wiki on extinction ( https://ark.gamepedia.com/Extinction ), electromagnetic waves will render the GPS useless, which will certainly make finding explorer notes fun. That's why we were hitting the GPS. When we start panning around the valley, if you look closely, you can see metal spires to our right and over the hill on the far side of the valley. When the Frost Titan emerges, you can see a spot of corruption on his torso, which could mean only anti - corruption weapons will harm this thing. The ending shot shows a corrupted ARK logo, no man's land, the grand city, another large ribcage, and the moon. This is the image I was referring to earlier, the one with the gate. In it, we see the city, a corrupted Rex and Pterodactyl, the snowy dome, a weird boiling river, driftwood (which we haven't seen since the island ), the moon, and a meteor. One thing I noticed is that in this image, the dome is on the right side of the gate, but if you looks back at 0:10 seconds in the trailer, it's on the LEFT side of the gate. So, either something is inverted, or there will be more than one large gate into the city. At first I thought this image was in an indoor park, until I saw the sunlight streaming into it, which means this park must be in the overhang of a building or something. There are a lot of brides and waterways here, and in the center of the image, past the fountain, we can see an entranceway with what looks almost like a teleporter pad on a ledge above it. There's an enforcer clinging onto a wall on the right, which means that they can hold onto walls like Rock Drakes. We see some paracers, a rex, and gallimimus running around, but up front we see some defense units, which haven't been used since the Overseer fight. Defense units have, according to the wiki, 925 base health. That means it will take 39 spears to kill ONE of these things, and 193 spears to kill the 5 we see in this image. Furthermore, we can see attack drones flying around the lamppost in the lower left. Attack drones have 146 base health, so they take 7 spears to kill one, or 19 spears to kill the 3 we see in the image. 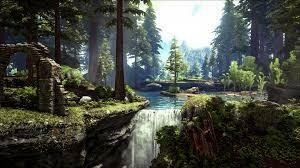 This image reminds me of Aberration, what with the wall crystals and pine trees. Leaning up in the background we can see a blue obelisk. A BLUE Obelisk. But isn't the blue obelisk in the snow dome? Unless... no, I won't write it off just yet. We can see a mutant dino, what look like wyverns, a sauropod tail in the upper left, and of course, the freaking MASSIVE Forest Titan. I mean, those are wyverns next to it for size comparison! We can see a gasbag, some trees, and a metal object up front. In the background, we can see a corrupted raptor, the snow dome, and a magical flying gasbag. The metal object almost looks like a rocket engine to me. If the weapon that OWW mentions in her 12th note was, say, a rocket or missile, than this could have been it's propulsion system. We can see a wyrm on the ground and an owl in the sky, with the city in the background. There isn't much more to say about this image. This image is full of animals! We can see a normal Bronto and direbear, as well as a corrupted Trike, Spino, Stego, Rex, and two weird doggish creatures. In the background, in the sky, we can see a blurry obelisk, and to the left of it, the Air Titan, the weird subnautica leviathan - looking creature. This looks like a strategic place to build a base as it's near water and trees and the rock formations will protect you from meteors ( more on those later ). on September 28th, a 20 - second long video was uploaded to Chris's twitter account ( https://twitter.com/cudacores?lang=en ) I unfortunately could not reupload the video here. You can still see it on Chris's twitter, though. This trailer shows what I believe to be the endgame titan, since it walks on two legs like the titans. notice how in the background, you can hear wind, which could mean this thing is guarding No Man's Land, since that's the only place I can picture wind. This trailer shows the "Gacha", a weird sloth - like creature. I can only assume the weird bad under it's neck is part of a saddle. After feeding it something, it drops a purple crystal, which must have some use in crafting. Notice how this is happening in the place we saw in teaser image #3. Also, the music sounds AWESOME. 1. Meteor showers that will damage players and structures. 2. Electromagnetic waves at certain locations that will render the GPS useless. The second part of my Extinction predictions will be completed around Friday. Now that we've covered the factual evidence, let's talk about how everything we've learned culminates in Extinction. This post will be more disorganized than my others, but let's begin anyways. The best place to start will be with One Who Waits. So, who or what exactly is it? "When I say "you must fix it" I mean "only you can fix it." Not me. Not the System. You. That’s a lot of pressure. Sorry. I wish I could do this for you, but there are rules. Laws. Not legally speaking, but scientifically. Both are pretty similar, as both don't have a physical body. Think of it as a futuristic ghost. They're still conscious, they just don't have a physical body so they can interact with the real world. That's...why OWW created us. "As I've said, even digital creations are beyond my direct control. So it is with the System - these islands in the sky. I can speak with the the artificial minds that oversee their operations, but they have a will of their own. They too think, act and live. Until at last they formed you. And what are you exactly? Once you break free, once you fall from the sky, I'll tell you your name. It will all make sense to you then." - OWW Note #8 on scorched Earth. My belief is that OWW tampered with the Overseer's Specimen output code - in other words, the code the Overseer uses when it makes a new human. OWW basically tricked the system into creating humans that SHE KNEW would be able to reach Earth. That probably explains the character customization, right? Okay, but WHO IS OWW?!?! In her 6th note, you can see an image of a woman. This woman looks different from the default woman she shows a few notes later. I'm led to believe it's Helena as both her and this woman have short hair, whereas Mei-Yin, the only other woman left, has long hair and a scar over one eye. Also, OWW and Helena are the only two characters who use the word "moniker". "You'll want a moniker for me, won't you? Words and names are not explicitly necessary to process the world within oneself, but they are important when conveying it to others." - OWW Note #6 on Aberration. Okay, but HOW did Helena get this way?! In the very background of her notes, you can find that the english we see up front is translated from ascension code in the background. The only other character we see that speaks like this, besides the Overseer, is Rockwell. And we all know that Rockwell speaks like that because...he injected himself with molten element. Helena must have, too. One thing I left out of my post, "What IS Element?" is that I believe element, when exposed to the bloodstream, "judges" people, or turns what they are on the outside to what they are on the inside. Rockwell, being crazy and egotistical, turned into the beast he was on the inside. Whereas Helena, being kind and intelligent, ascended into the god - like being we know as One Who Waits. So we have the who and how, but WHY?! Why would Helena do that?! Before we get to that, though, let's look at the Extinction chronicle's developments. "Once your fall is complete, stay close to the sanctuaries. Within them, small pockets of life still flourish in an otherwise barren garden. Beyond their spheres of influence, you will find an endless sea of decay, ruled by shadows and death. The first of these sanctuaries is the Great City. Though it is no longer a metropolis, a jungle blooms in its place, and you may find a modicum of shelter within its crumbling walls. "Cause and effect is the way of the universe. Everything must start somewhere. In the case of the System, this is where it was born. You will fall right into its cradle. Together, the sanctuaries and the Obelisks that power them are the ancestor of every island that floats in the sky. They can all can trace their origins back to this single prototype. Though it is flightless, the core principles and technology behind it are the same. In a way, that makes it your ancestor too. You were all born within the System, after all. Even if your design is somewhat altered, in a way, you're all its children. "And so everything will end where it began. The planet, the System, your species and every bit of life that inhabits this tiny corner of the universe. All of it. Then perhaps something new will begin, but that depends on you...and the forces that stand in your way. Up until this point, I had a really good theory in mind, where the explorers and tek villagers built the city and eventually figured out how to make obelisks and the domes so that they could repopulate the planet more easily. The city was overrun by corrupted creatures, Mei - Yin and the tek villagers died, and Helena injected herself with element and ascended to escape. "Despite my limited equipment, I have managed to run some initial tests on the Edmunium. Based on my observations, a typical forge may not be enough to smelt a sample of Edmunium ore into any sort of useable ingot. I suspect that it has extremely strong metallic bonds and therefore a much higher melting point than any conventional metallic element." - Rockwell Note #26 on Scorched Earth. In case you don't know, when rocks enter Earth's atmosphere, the gravity turns it into an EXTREMELY HOT fireball. This heat would be so intense that trees would burn and humans would bake alive inside their tek armor. But element, with it's ridiculously high melting point, would survive the heat. it wasn't until this development that I noticed something - each DLC expansion introduces at least one new explorer with notes that give backstory on something. Raia's notes on Scorched Earth tell us how she turned into the warrior that helped Helena. Diana's notes tell us how Aberration broke and how Mei-Yin learned about tek armor. And THIS possible new explorer's notes could not be about surviving on Extinction, but about the ARK's creation, how the URE realized the meteor was coming and raced against the clock to get them in orbit, before succeeding and promptly dying. As for Helena and friends, I believe they first took shelter in the city. After learning the truth, a titan or corrupted creature army attacks the city. Given Mei-Yin's track record of defending her homes, I would say she fought and died, holding onto the necklace Diana gave her. With everyone dead after the attack, Helena decides to inject herself with element and ascend into OWW so she can create humans that won't fail at saving Earth. 1. What is the threat facing the ARKs? "To win the game, you must move your pieces off the board. To fix the System, you must leave it behind. "The System has existed for eons. Considering all the variables, it has adapted well. Much like you, it has toiled to reach its goals, and it has overcome many obstacles. However the scale is larger. The struggle is longer. In organic beings, age can slow reflexes and dull thought. Not so with the System. The speed and efficiency of its calculations are not in doubt. One could argue they’re the problem. If a function has a 0.001% chance to cause an error, but it’s only run a dozen times, an aberration is unlikely. But a trillion times? Then it’s inevitable. More time, more errors. A drop turns to a trickle. A trickle to a flood. "Everything the System does is in service to its ultimate objective. The tests that aren’t tests. The hard resets it performs when it believes its subjects have grown stagnant or unruly. The new, increasingly fantastic creatures that it introduces to its ecosystems. Yes, even those pudgy, glowing lizard-dogs. Look, they try their best, okay? The problem is that the System’s purpose is not wholly static. The goalposts have moved. The bar has been raised, and now it is entirely out of the System’s reach. i fell like wildcard is trying to sneak something past us, i just don't know what. Any thoughts? As for me...is that it? No. I'll still make posts. just don't read them if you don't want the Explorer Notes spoiled for you. ATTENTION! PLEASE READ THIS MESSAGE!!! I am looking for advanced Xbox server tribes that are going to reach Alpha endgame levels. I am desperate for an Alpha ascension so I can access Extinction when it finally drops. If anyone is interested in recruiting me, leave the name of the server below. "You know, this whole "staving off the ever looming spectre of despair" thing would be a lot easier without all the dinosaurs. Did I not mention those? I should have mentioned those. Anyway, turns out that raptor attacks aren't so great for morale. True story. At least the weather's holding up. We've had clear skies for three days now. It was a good idea to start giving people callsigns, too. Getting a new callsign from my squadron always made me feel closer to them, whatever it was. Hopefully it works with this bunch.